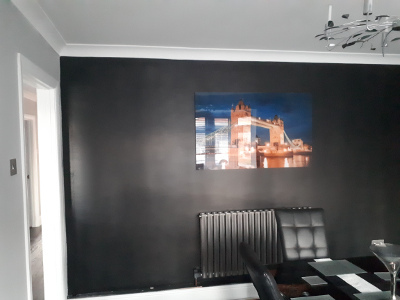 This home renovation in Basildon consisted of redecorating this customers dining room. Large dining rooms such as this serve as a fantastic multi-functional space. It is a place where you can eat, entertain and sometimes even work. When helping the customer design this living room we thought carefully about how the space would be used. We also wanted to create a fantastic wall feature that would amaze guests whilst they eat, even creating a talking point. 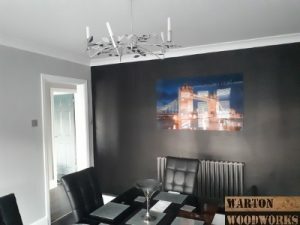 Warton Woodworks have over 15 years experience in the construction industry. 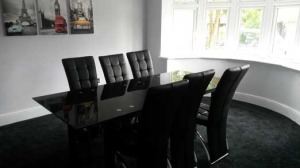 Our highly professional tradesmen have the skills and expertise to transform any space into something amazing. 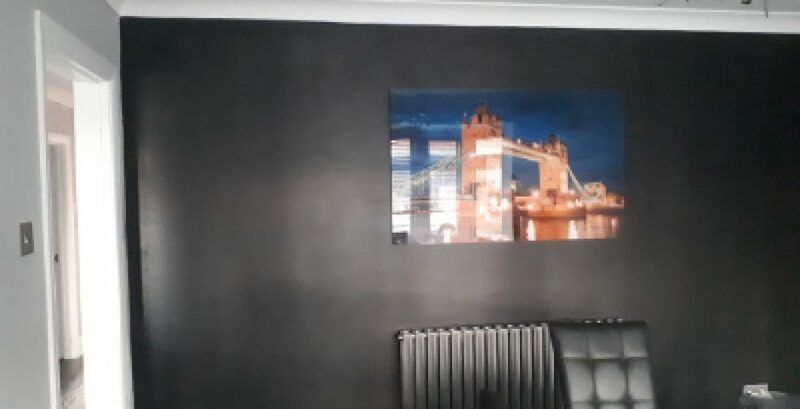 Below are images of this home renovation in Basildon. Click here if you want to read about other home renovation ideas. Are you after a home renovation in Basildon? Or anywhere else in Essex. If so, please feel free to contact us.